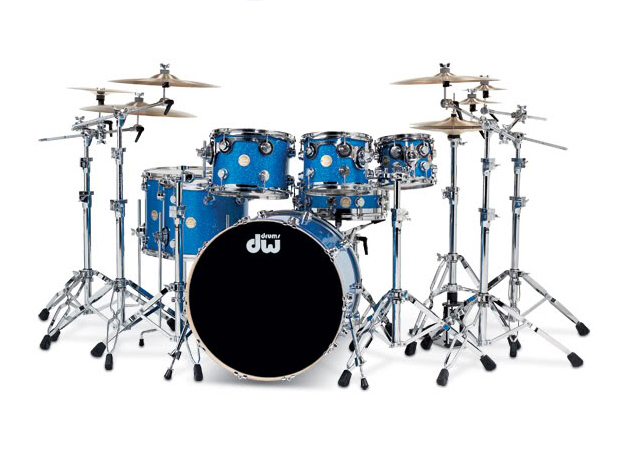 All drums have latest X-Shell technology, all stands are DW. 10″ & 12″ splash, 14″ thin crash, 16″ heavy crash, 16″ sound creation crash, 18′” heavy crash, 20″ Dark metal ride, 20″ Novo China. All Cymbals apart from the China are Paiste Signature Series. Cases are by Hardcase International. Drum Carpet and rug lugs by Baskey. Top Tips for young drummers. 1. Don’t spend a fortune on your first drum kit! – I started with just a snare drum and gradually built a kit up as and when I could afford it. You can pick up fantastic kits for 150-200 pounds, and if you put good heads on the kit it will sound really good. 2. 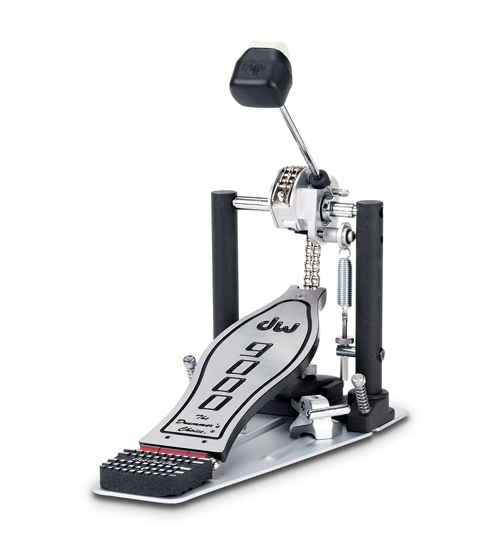 Make sure you know how to tune your drums – Tuning is as important as playing. There are loads of websites containing info about tuning, but I think the best way of learning is to experiment and try different things like I did. If your kit sounds good, then of course, you will want to play it! 3. Always use a carpet with your kit – There is nothing worse than playing on a hard surface and the kit starts to move all over the place. Also, mark the carpet with tape or rug markers to remember where all the stands are positioned. Jeff plays a Ludwig Black Beauty Snare which was made in 1979. The drum was originally owned by Rick Allen from Def Leppard and was used on various Def Leppard albums including Pyromania and Hysteria. The drum was also used on a Mettalica album, Master of Puppets. Jeff bought the drum off Rick whilst working with Def Leppard in 1984/5 after Rick lost an arm in a car accident. Jeff has used the drum on many Status Quo albums and concerts and says, “This drum is without doubt one of the best rock snare drums ever produced. The sound is fantastic and it has never let me down”. “Your knowledge of the history of different types of drum and how they have influenced present day music made fascinating listening and your skill in the art of drumming was outstanding to watch and hear. “Can I thank you for what my son described as ‘the most awesome day at school, ever!’ My son David was eagerly awaiting your visit after having the letter several weeks ago. “My son was already into drums but your visit seemed to spur him on even more. He is now approaching 14, has surpassed all expectations from his teachers and is now assisting in the teaching of new students to his school. As well as playing in the school orchestra he and some friends also set up a school band.